Time is a precious commodity when disaster strikes your home or business. There’s no time to waste when your home or livelihood is on the line—you need help right away. We know how crucial a fast response is, which is why responding faster to any size disaster is more than just a slogan to us. When it’s your belongings or business on the line, time is not a luxury you have regarding disaster cleanup. This is especially true where water damage has come into play, which can be through various means such as flooding, appliance and/or plumbing failures, storm damage and fire damage, as water is used to put out the fires. It can only take minutes for water to spread throughout your property, where it saturates everything in its path. Things like the walls, floors, upholstery and your belongings are all fast casualties of water. If left unchecked for over a week, the damage done can dramatically increase the restoration time and costs and can also impact structural safety. Providing an immediate response to any size disaster is what we are here for! Our fast response times can help minimize the damage and keep the cleaning and restoration costs manageable. It doesn’t matter what day or time it is, our trained cleanup and restoration specialists will quickly be dispatched to your property or business. Being a locally owned and operated franchise helps us be close by and ready to respond whenever the call comes in. A major perk of being part of a national network of over 1,700 franchises is that we have access to more resources for the cleanup and restoration projects that may be larger or stem from major storm situations. Remember, if you need us, we’ll be there—no matter the time or day. The team of highly trained restoration experts at SERVPRO® of East Bradenton/Lakewood Ranch is available for emergency cleanup and restoration services 24 hours a day, seven days a week. There are many responsibilities business owners have, one of them being safety factors to take into consideration regarding risks to your business, staff and visitors. One of those risks that needs some extra consideration is planning for and working toward preventing fires. Three of those causes, intentional, exposure, and electrical distribution and lighting equipment, accounted for the most property damage with 20%, 18% and 15% respectively. The Bureau of Labor Statistics found that in 2007, fires and explosions accounted for 3% of all workplace fatalities. When you consider more recent numbers, the NFPA estimates that during the timeframe from 2007–2011, U.S. fire departments responded to an average of 3,340 fires involving office properties per year. Those fires were responsible for an annual average of four deaths, 44 injuries and $112 million in direct property damage. 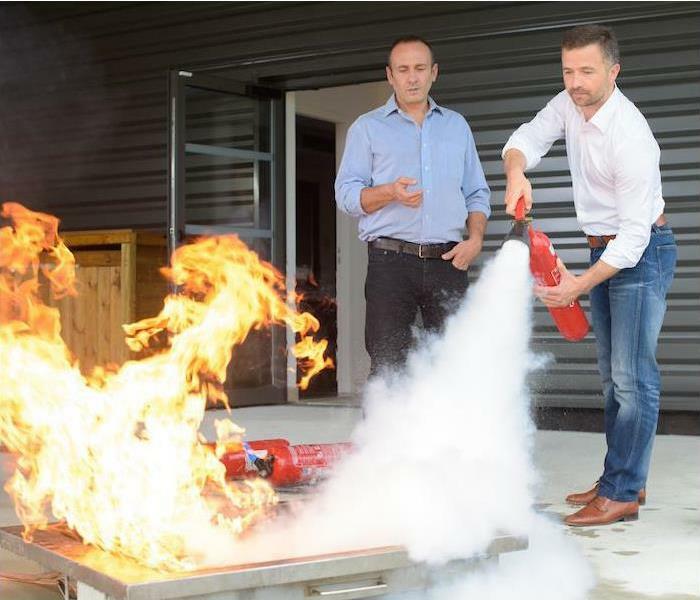 Let’s take a look at steps you can take to protect your business from fire risk. Some of those steps are focusing on fire risk assessment, fire prevention and staff education. These topics will help you work to reduce the chance of a fire breaking out. Your first step should be to assess the risk of fire hazards. In some areas, the local government may even offer a visit from a fire marshal to help identify these risks and provide guidance on your fire prevention plan. Ensure that the proper amount of and right fire protection equipment is in place. This should include an automatic sprinkler system, smoke detectors and fire extinguishers for each floor your business occupies. Finally, but most important, consider the safety of your employees and visitors. By creating and regularly reviewing your fire plan with your staff, you’ll be making sure everyone is aware of the proper procedure to follow in the event of a fire. Conduct fire drills at least once a year to keep this fire safety protocol fresh, and take time to review evacuation plans and where the first-aid kits are. Despite best efforts with fire prevention and safety tips, the worst could always happen at your business. If a fire has damaged your business, SERVPRO® of East Bradenton/Lakewood Ranch is available to help make it "Like it never even happened." When you find yourself in a water damage situation, it is important to understand the differences in the water that could be involved. There are three classifications for this water: clean, gray and black, and having a better understanding of these differences will help you understand how to better handle the situation. Regardless of the type of water involved, there will always be a cleanup and restoration process that follows. The most important part of the cleanup, however, is to remove all of the moisture and damp items quickly, so that mold does not have a chance to flourish in a mold-growth ideal environment. This is the easiest type of water damage to work with, as there will be fewer microbes living in the water, but after only 48 hours and contact with building surfaces, clean water can move up to category two, which is gray water. The cleanup and restoration process with gray water becomes a bit more involved and serious. This water could very well have the potential to pose a health risk, due to it containing chemical or biological contamination. This slight contamination in gray water means that the water would need to be thoroughly treated before being safe for consumption. Gray water is water from dishwashers, aquariums, showers, etc. The 48-hour exposure rule for mold growth also applies here as well, as gray water will become black water if not quickly treated. The most serious and dangerous water is black water, and it is considered to be highly contaminated by harmful chemicals and biological matter. This would include floodwaters containing soil and any sewage water. Sewage contains microbes, including bacteria, protozoans, molds, fungi and more—many of which are extremely harmful to humans. A good rule is to remember that, when it comes to floods, all water involved should be assumed to be black water since it will have picked up contaminants along its path. These three floodwater classifications are recognized by the Institute of Inspection, Cleaning and Remediation Certification (IICRC), an organization that certifies and sets the standards for the cleaning and restoration industry. Our technicians have all studied and familiarized themselves with the IICRC standards and best practices in water restoration and are available to help determine the steps to take to get your home back to normal. It doesn’t matter what type of water has caused damage to your home or business, SERVPRO® of East Bradenton/Lakewood Ranch is here to help get the situation under control and make it "Like it never even happened." Don’t hesitate to reach out to us if you need emergency cleanup and restoration services! Water damage might be one of the most common and costliest disasters your home may experience. 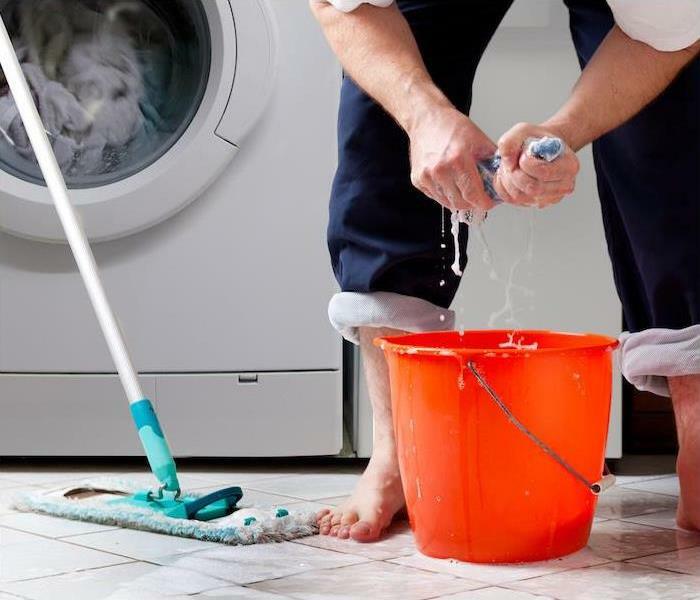 There are countless mishaps, such as a pipe bursting, a malfunctioning dishwasher or storm damage, that could cause your home to suffer water damage. While water damage is an especially common issue for homeowners, allow us to suggest some ways you can safeguard your home from some of these situations. When there is water damage, the damage caused is not the only issue to deal with, as it can have a long-term impact on your home. Mold is a common side effect of water damage, as it can start growing within 48 hours of exposure to moisture. As you consider ways to protect your home, it may be helpful to break the large task down by areas of impact. These areas might include spaces like basements, kitchens, bathrooms, flooring and ceilings. In the basement, you can help prevent water damage by checking for any water seepage and remedying it by resealing vulnerable areas of the basement, checking that water drains away from your home and installing a backwater valve. Your kitchen and bathrooms may experience water damage as a result of plumbing system breakdowns and appliance failures. Protecting your possessions from water damage may not always be possible, but there are steps you can take to lessen the amount of possessions you may lose or that could be damaged. Waterproof bins for storage are advisable, as is keeping items stored on shelving off of the floor—especially in the basement. If you find yourself with a home that has damage from water, you stand a good chance at salvaging items that can be dried out within 48 hours. Contact your insurance company immediately, evaluate the extent of the water damage in your home and identify the type of water that is involved. “Clean” water from rain, condensation, leaky pipes, etc. “Gray” water, which is slightly dirty water from dishwashers, washing machines, clean toilets, etc. “Black” water, which is water from sewage or serious flooding from nearby rivers, etc. This water can cause serious health problems. Following a water damage disaster, you will want to get your home dried out and dehumidified as quick as is safely possible, removing wet objects and disinfecting any remaining materials. Here’s a helpful pro tip for books, photos and paper: Freeze them in a frost-free freezer, which will give you more time to deal with them, thus preventing mold and mildew from developing, causing more deterioration. Once you are able to deal with them, remove them from the freezer and air-dry or fan-dry the pages. It may seem like recovering from water damage is an overwhelming and slightly impossible task, but it doesn’t have to be. 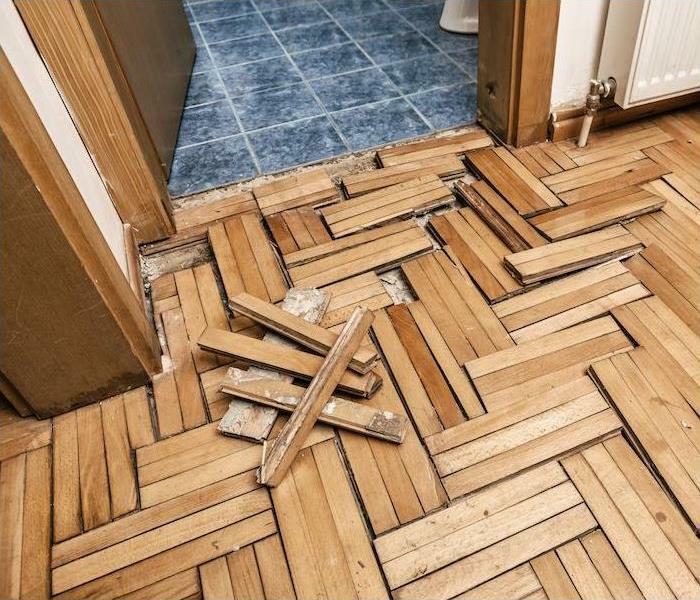 You can call on the highly trained experts at SERVPRO® of East Bradenton/Lakewood Ranch, who are here to make it "Like it never even happened." Severe weather can strike without warning, and even though most of the time we have the benefit of advanced warning, it’s those surprises that leave us vulnerable. Fortunately, there are different steps you can take and safety tips to follow that will ensure your family is prepared for different severe weather situations. The best way to come out on top when severe weather strikes is to put together an established family emergency plan. If you have already taken this step and your family does have an emergency plan in place, be sure to practice, discuss and review it as the different weather seasons commence so everyone knows exactly how to respond to the situation. 1. How will you receive emergency notifications? 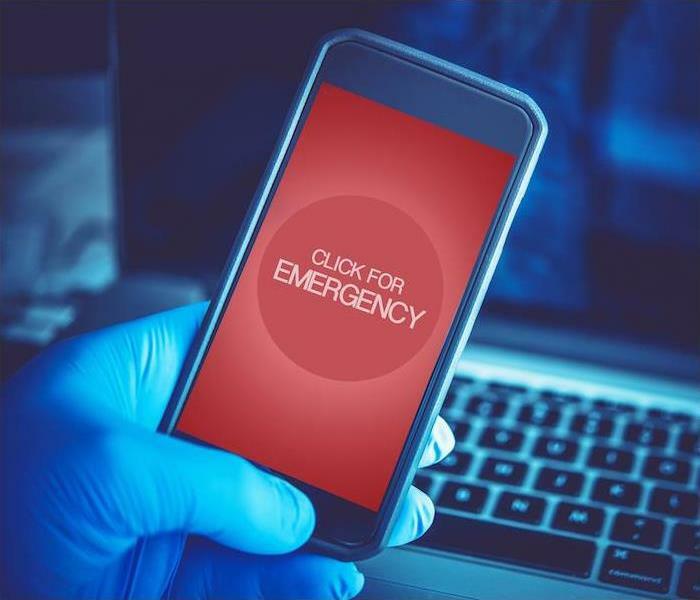 Emergency alerts and warnings are always broadcast over televisions and radios, but thanks to today’s technologies, it is easy to receive emergency alerts and warnings through Google or a weather app on your smartphone, which enables you to quickly receive emergency alerts and provides you with valuable time in severe weather situations. 2. What are your storm shelter options? You’ll want your shelter to be in your basement or an interior room without windows or doors and not in corners or on the outside walls on the lowest level of your home if you live in an area where tornadoes are common. Tornadoes aren’t the only weather circumstances that require a form of storm shelter, and you can find out more about more of the types of situations that call for them by visiting ready.gov. 3. Are there multiple evacuation routes? You should always have multiple routes mapped out that can serve as evacuation routes since things such as hurricanes, flooding and fires can force you from your home in a hurry. It’s wise to have multiple routes should one route become impassable, and be sure to find accommodations that allow your pets along the way if you have furry family members evacuate with you. Staying in touch with family is important and it is easy to rely on cell phones for this purpose, but what if cell towers are destroyed in the storm or power is lost? Cell service would be lost, cell phones will not be able to be recharged with no power, or phones could be lost or left behind in your rush to evacuate. Your family will need an emergency communication plan in place, as well as a pre-determined, safe meeting place in case you get separated. If a storm does cause damage to your home or business, don’t hesitate to call your friends at SERVPRO® of East Bradenton/Lakewood Ranch to get the cleanup and restoration process started. The key to being able to recover from the disasters such as floods, hurricanes, tornadoes, wildfires and earthquakes that Mother Nature can throw at us is to be prepared for a multitude of worst-case scenarios. Some of the considerations that need to be addressed when preparing for those scenarios are discussed in this blog. Where your business is involved, there will be many things you will need to consider concerning a disaster plan. Everything from your employees to your business’s assets should be included. Fortunately, there are sources like the Red Cross, FEMA and Ready.gov that have created checklists availablethat can help you identify areas that need to be included in your natural disaster preparedness plan and also show you how prepared you truly are. Having a plan that lays out procedures and safety measures to follow for employees and visitors is extremely important should a disaster strike without warning. 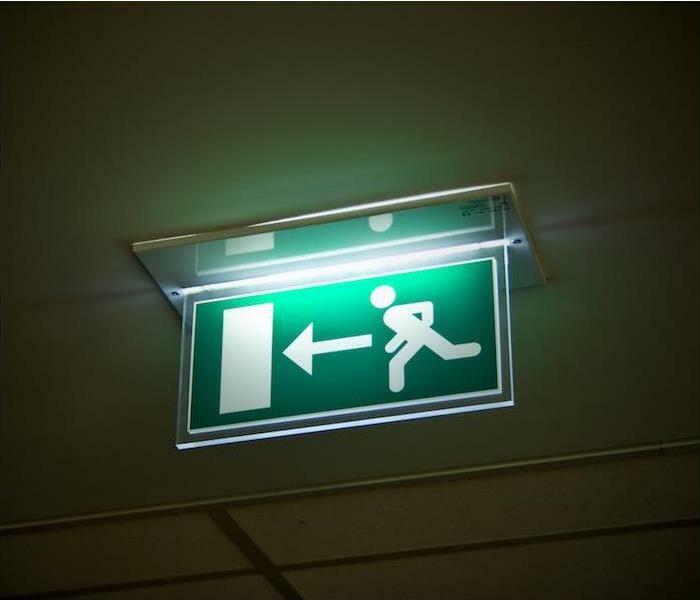 Evacuation routes and exits from your facility should be properly marked and visible. Identify an area that will be used as a shelter space, have designated “safety wardens” properly trained and ready to implement your disaster plan and assist with all emergency efforts, and consider installing emergency lighting throughout your workspace. Obviously, when choosing a shelter space, a basement or storm cellar is the ideal location in the event of tornadoes or other high-wind situations. A small interior room on the lowest level, such as a closet or interior hallway, should be used if there is no basement space. There are thousands of dollars at risk when a natural disaster strikes, so it only makes sense to devise a plan to protect the assets inside the building even if your business is located in a brick and mortar location. Always have a comprehensive and up-to-date inventory of your assets and, if possible, have photographs prior to a disaster and keep these stored in a safe place as it will be helpful if insurance claims have to be made. Look into a cloud storage option for safely keeping computer files and assets, and make sure your backup system is working. As a building owner, work with a contractor to uncover areas that need improvement regarding structural integrity. This contractor will be able to walk you through possible safety upgrades and offer advice on any areas that may not be able to stand against certain weather situations. When a natural disaster does occur, you may have to close the doors to your business for several days or months to recover from the damage. Every day you remain closed becomes another day of lost profits. Having a fund for a “rainy day” helps with additional costs that are not covered by your insurance. Locate and establish a relationship with a list of contractors who would be available for construction matters, and find a cleanup and restoration service that will be available to quickly respond to your emergency situation. With SERVPRO® of East Bradenton/Lakewood Ranch, you can count on us to get to the disaster faster and make it "Like it never even happened." Our training and expertise have prepared us to help with water damage, storm damage, fire damage and mold remediation quickly and effectively. Knowing what to do when disaster strikes your business is of the utmost importance. When it comes to the cleanup and restoration aspects, depend on SERVPRO® of East Bradenton/Lakewood Ranch to be there for you. When your home or commercial property is damaged by water, mold growth will be likely to follow. It is fact that mold can begin to grow within 48 hours after moisture exposure. Knowing the next steps to follow is vital if you are ever faced with a mold issue, which is why we’re providing an overview of mold remediation in this blog. Have you seen the ads for mold remediation and promising mold removal? The fact is the latter of the two is a fallacy. Removing all mold from a home or business is simply impossible. A qualified restoration company focuses on mold remediation, which has the ultimate goal of bringing mold levels back to normal and natural levels. Yes, mold spores do occur naturally and appear almost everywhere, both inside and outside, however, they only become an issue if a minor problem is left untreated and, in turn, it becomes a major infestation. During the mold remediation process, technicians isolate all contaminated areas. Depending on the amount of area where remediation is required, isolation can be done by either closing all doors and windows or completely sealing off all doorways and openings by using a polyethylene sheet. Dust in the contaminated areas will then suppressed through a misting process. 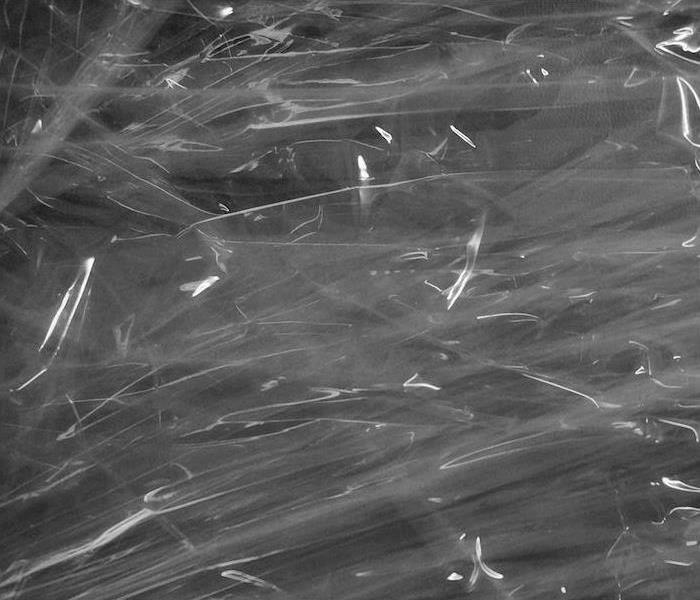 Plastic bags will be used to remove and discard wet and mold-damaged materials and areas exposed to and affected by the mold will be thoroughly cleaned and dried. A HEPA vacuum is sometimes used to aid in the removal of contaminated materials and debris. The area affected by mold is treated with a biocide and then left overnight to kill the mold spores. The mold remediation crew will return on the following day to encapsulate the affected area and beyond. If you find that your home or business may have a mold problem, you need to act quickly. Evaluate the size of the problem, and if the area affected by mold is larger than 10 square feet, it is a good idea to call the professionals to handle the problem. Some homeowners and business owners may want to try to address some minor mold issues on their own, but it is always wisest to call the professionals for a speedy and thorough resolution to the problem. At SERVPRO® of East Bradenton/Lakewood Ranch, our mold damage specialists are trained and certified experts in mold remediation. If your home or business is experiencing a mold issue, contact us to begin the mold remediation process. When thinking of water damage, severe weather is usually one of the first things that comes to mind. While storms and flooding can cause catastrophic water damage, often, they are not the main culprits. Many of the various items in your home can be responsible for situations that result in water damage. Many homeowners will suffer water damage, and it was the third most common reason for a homeowner to file an insurance claim between 2011 and 2015, with an average payout per claim of $8,861. 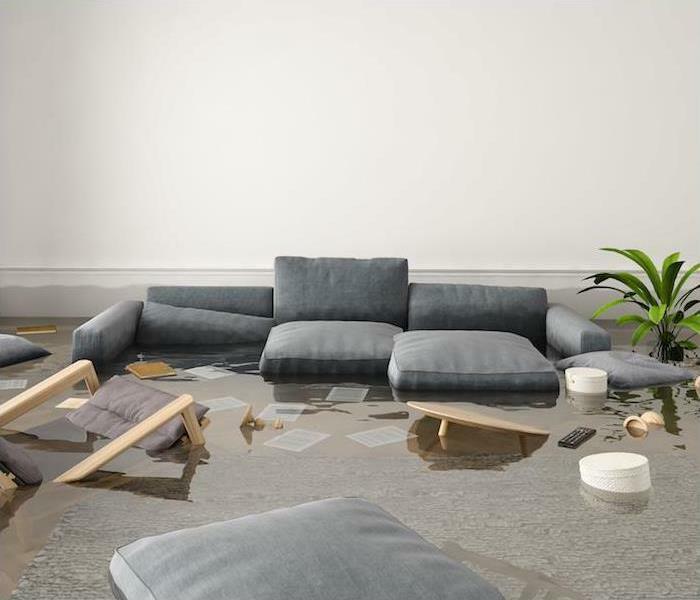 We must first explain the difference between water damage and gradual water damage, which impacts how insurance claims are paid. Gradual damage is when something has been happening over time, such as plumbing issues in the walls causing damage to the walls, ceilings or floors, or water damage caused by cracks in the foundation. Unfortunately, many aspects of gradual water damage are usually not covered by homeowners insurance, while storm-related water damage usually is. Plumbing supply system failures. Frozen pipes can burst due to a buildup in water pressure caused by freezing water in the lines or when the supply system equipment fails and results in a leaking or burst pipe. Per IBHS, plumbing supply system failures are the leading source of residential water losses and cost an average of $5,092 per incident after the deductible. It was also found that homes ages 16 to 40 years of age were a larger group of supply system material failure claims. Water heater failures. Once your water heater has reached its life expectancy, the chances for the tank to rust and corrode increase, which can cause leaking or bursting issues. IBHS found that 69% of all water heater failures were a direct result of a slow leak or sudden burst and, on average, cost $4,444 per incident following the deductible. Plumbing drain system failures. 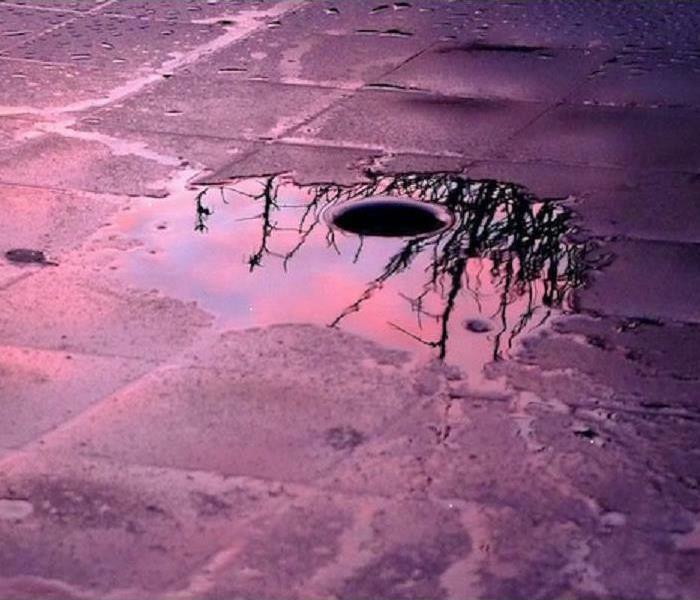 This occurs when sewer drains back up and overflow into a home or from material breakdown issues. In their study, IBHS found that 52% of drain system failures were caused by sewer backups and 37% were related to material breakdown issues. The average drain system failure was more expensive in the southern region than in northern region of the United States. Toilet failures. This type of damage is second to plumbing supply system failures for residential water loss after and can be caused by faulty fill valves or clogged drain lines. According to IBHS, toilet failures that happen on the first floor of a home resulted in more homeowners insurance claims than those happening in basements or upper floors. Washing machine malfunctions. Typically caused by supply hose failures, machine overflows and drain line failures, washing machines are in the top 10 for residential water damage losses. Per IBHS, supply hose failures accounted for over half of all washing machine-related losses. Severe storms can bring a multitude of concerns, but damaging winds are always a threat. These winds can come with little to no notice, and they can be problematic because they can have long-term structural impacts. Anyone who lives in a thunderstorm-prone area can be at risk from damaging winds, but there are some structures that are especially at risk. Mobile homes, even those that have been anchored, could sustain serious damage with wind gusts over 80 mph. While many think damaging winds are a result of a tornado or hurricane, those are not the only times when they may come into play. Winds exceeding 50–60 mph are traditionally considered damaging winds and can be produced by a strong thunderstorm. You will commonly hear damaging winds referred to as “straight-line” winds to differentiate the damage from tornado damage. The damage from these winds can be especially destructive, as they can cause any objects not anchored to become projectiles. 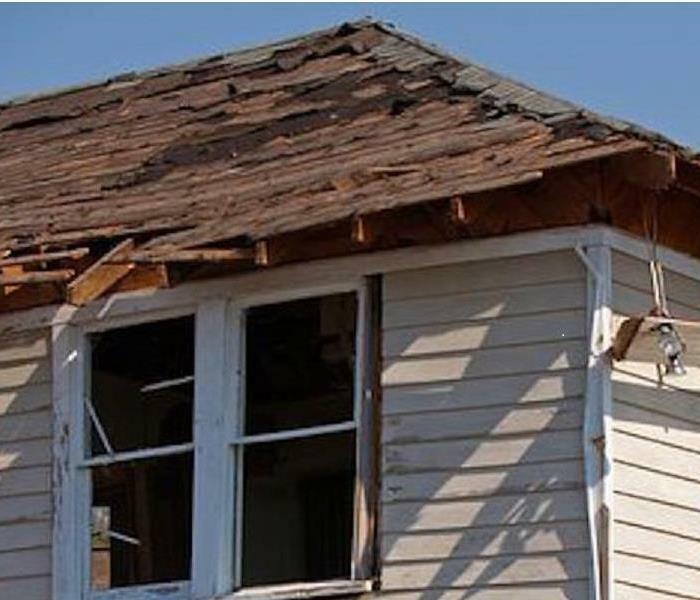 Windows and the roof can take the brunt of this damage, and if the damage is extensive, it can result in water damage to the home as the outside elements come indoors through the damaged windows and roof. Below are some ways to be proactive in protecting your property from damaging winds. The “Two R’s” are a good place to begin, reinforce and remove. Have a professional reinforce your garage door. Safely store or anchor loose objects on your property that could become projectiles. This includes trash cans, grills and outdoor furniture. Dying or dead large trees and limbs need to be removed by a professional so that they don’t blow over onto the home. Don’t rely on advanced notice for a high wind situation. Not all high wind circumstances come with advanced warning. But being proactive with some of these action items can prepare you for just these situations. Also, if you are building a new home or renovating an older home, be sure your walls, windows and doors meet the building code for your area. If your home has been hit by damaging winds and resulting water damage, the highly trained specialists at SERVPRO® of East Bradenton/Lakewood Ranch are here to help with the cleanup and restoration of your home. Who likes thinking about the possibility of seeing their home damaged by fire? Unfortunately, it’s something that needs to be considered. Recognizing fire hazards and knowing how to identify them helps to protect against this catastrophe. In this blog, we’ll be exploring two of the most common household fire hazards. According to the National Fire Protection Association, during a five-year period from 2011 to 2015, fire departments in the United States answered calls to almost 8,700 home structure fires a year that began with candles. In total, 82 deaths, 800 injuries and $295 million in property damage were attributed to candles. Candles were the cause of 2 percent of reported home fires, with 3 percent resulting in death and 7 percent resulting in injuries. There were an average of 24 home candle fires reported per day during those five years, with the month of December having the highest number of calls per year for home candle fires. Candle fires during this time span were attributed to 37 percent starting in bedrooms and were responsible for 36 percent of the associated deaths and 51 percent of the associated injuries. 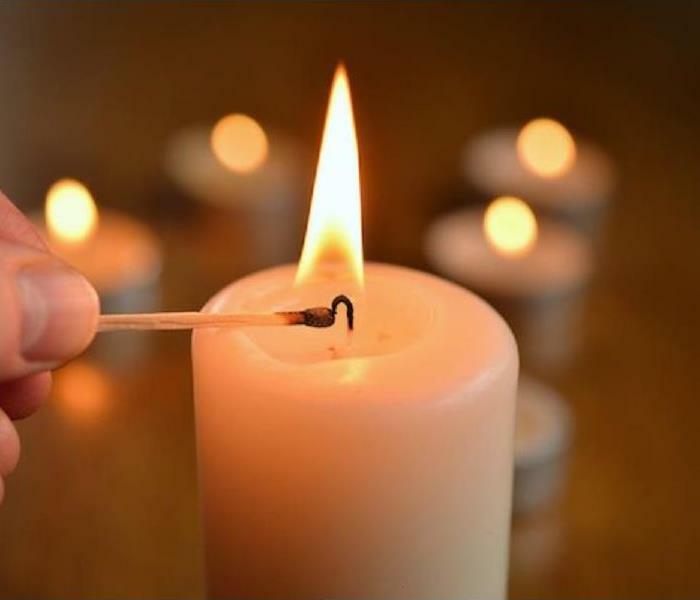 While using candles, it is important that the candle is kept at least one foot away from anything that could catch fire and is placed in a sturdy holder that won’t easily tip over. Never use a candle where oxygen is used in the home—and always extinguish all candles when you leave a room or go to sleep. While cooking is the leading cause of house fires, smoking is the leading cause of home fire deaths. Cigarettes, pipes and cigars contributed to an estimated 17,200 home structure fires in 2014, resulting in 570 deaths, 1,140 injuries and $426 million in property damage, per the Coalition for Fire-Safe Cigarettes. If you’re a smoker, the safest place to smoke is outside. Most deaths resulted from fires that started in living rooms, family rooms or bedrooms. Consider using fire-safe cigarettes, and always use a deep, sturdy ashtray. Extinguish all cigarette butts and ashes with water or sand prior to throwing them away—and keep in mind that one out of four fatalities from smoking-material fires is not the smoker whose smoking started the fire. We’ve covered candles and smoking as two of the most common causes of home structure fires. However, there are also other lesser-known hazards that could be present in your home. Some kinds of glassware in your home may be a fire risk. When sunlight passes through the glassware, the concentrated sunbeam could ignite flammable materials; therefore, it’s a smart move to keep glass accessories away from windows. Dust bunnies are also a fire risk if they build up near electrical sockets and floor heaters. Regular sweeping and/or vacuuming your floors regularly and cleaning hard-to-reach areas (i.e., like behind the entertainment system) can help prevent buildup. Also, look out for loose outlets in your home because continuous movement of these electrical outlets may cause loose wires that are connected to the outlet. This could cause dangerous arcing, which could cause a fire. Fire and smoke damage can be devastating to homes, not to mention the water damage that happens from firefighting efforts. If your home is damaged by fire or smoke, SERVPRO® of East Bradenton/Lakewood Ranchis here to help restore your home to pre-fire condition.